We can now build HTML5 games on digital signage platforms. We present here a series of studies on various marketing campaigns using digital signage games. 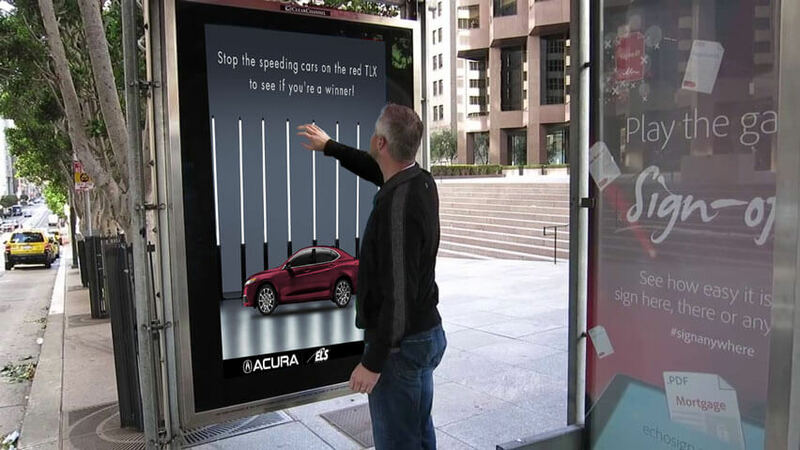 Brands such as Acura, Toyota, Budlight and UK Rail have been spotted using these games to engage their users. How does this relate to HTML5? It’s now possible to build HTML5 games for various digital signage platforms. To learn more, please read the full article. We dig into the technologies powering this movement, and try to predict the future of digital signage.